The tranquil suburb of Rondebosch ("the round tree"), in the southern suburbs of Cape Town, is well-known for its old oak trees that create a park-like setting. Rondebosch is home to a number of historical attractions. Guided tours and milling demonstrations are available at Mostert's Mill, originally built on a farm in the valley of the Liesbeek River in 1796 and the Presidential home nearby is where the "Groote Schuur Minute" was co-signed by Nelson Mandela and FW de Klerk as a commitment towards a peaceful process of negotiations, in 1990. The Rondebosch Common is a national monument and home to 200 indigenous plant species. The Red Cross Children's Hospital, the Baxter Theatre and a number of good restaurants are close by. Rondebosch is within easy reach of Cape Town's delights. Nearby attractions include Kirstenbosch Botanical Gardens, the V&A Waterfront and Table Mountain cableway. Attractive beaches (Camps Bay, Clifton, and Muizenberg) are 20 minutes away as are Hout Bay and Kalk Bay's fishing harbours. Cape Point and the Stellenbosch Winelands are 30 minutes away. Rondebosch overview. 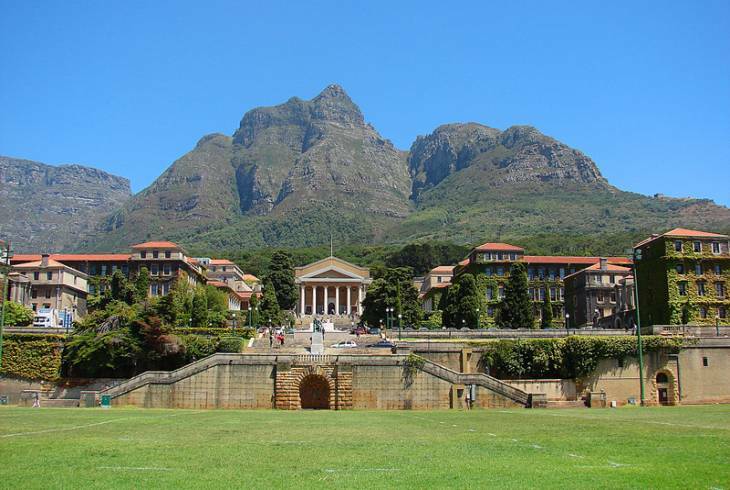 Rondebosch Accommodation and Information.